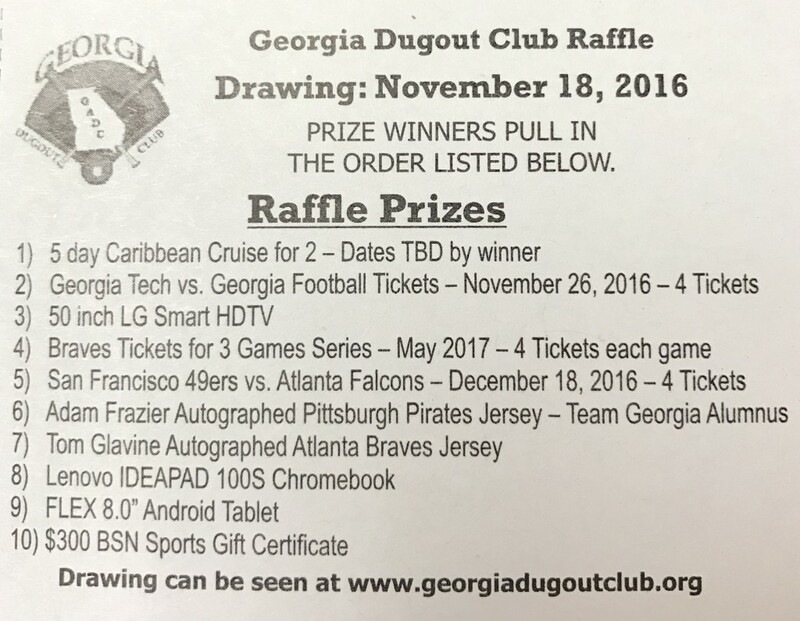 The Hardaway Baseball team is selling raffle tickets through the Georgia Dugout Club to help raise money to off-set the cost of the 2017 baseball season. Tickets are being sold now through November 8th and cost $10 each. 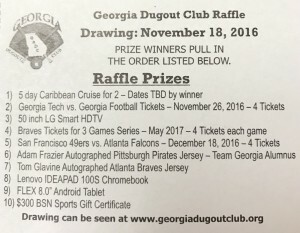 The drawing can be seen online on November 18th at www.georgiadugoutclub.org. Anyone interested in supporting Hardaway baseball, please contact Head Coach Chris Gilstrap or any baseball player. Prizes are listed below.